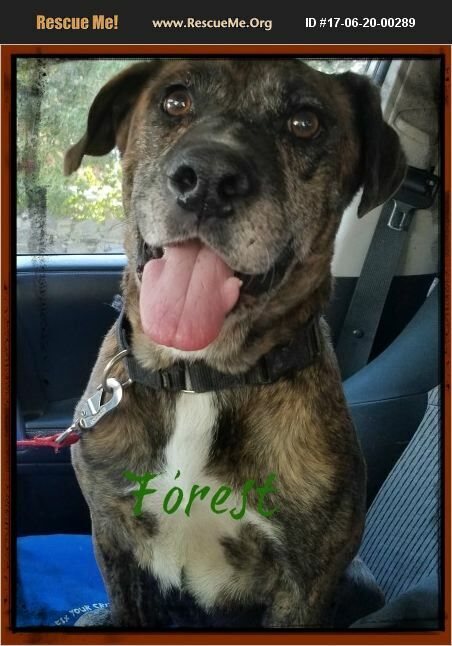 Forest is a very loving older dog. You would never know he was 6. We rescued him from a kill Shelter. He had been there for a month. The owners had surrendered him. He loves people. Forest loves the puppies but is not so good with the other big dogs. He is hysterical to watch. He will run around in circles. He will be going full speed and then come to a stop instantaneously next to you. He was left outside from what we were told. He is inside now and prefers it. Again great dog that loves to walk(maybe not in a straight line) but loves it anyways and great in a home with no dogs. he is fine with all the puppies. Its the big dogs he could do without. He never jumps up but will go in circles in front of you when he is excited to see you. He loves the doggy pool. He makes me laugh daily. Seriously funny boy! He loves to jump at the water from the hose.